When was the last time you had a really good grilled cheese? A golden-brown, butter-kissed, hot-off-the-press grilled cheese that left your fingertips just a little greasy while a pool of gooey melted cheese seeped through the slices with each bite? A perfectly executed grilled cheese sandwich relies on a number of factors—textural contrast, a healthy schmear of butter, not burning the toast, etc. But the most important: the cheese. Reny Picot Tomato Basil Brie is flecked with real tomatoes and basil and features that silky smooth, unmanageably gooey, buttery brilliance that grilled cheese dreams are made of. Your tomato soup will thank you later. Reny Picot Fontina has transformative qualities when it’s melted and allof its savory intensity is multiplied by a million when it hits heat. Some say it adopts a flavor like a deeply golden slice of toast. So yes, it is the ultimate choice for grilled cheese. Reny Picot Smoked Gouda is hickory cold smoked in the traditional Dutch farmhouse manner to ensure a nuanced smokiness and a creamy, buttery texture and density that literally melts in your mouth when sandwiched between a couple slices of bread. Reny Picot Mantoro has a tangy and delicately nutty flavor profile toes the line between sweet and salty. Most importantly, it’s a great melting cheese that tingles as it melts on your tongue for an invigorating grilled cheese experience. A grilled cheese sandwich should never let you down. If it doesn’t immediately make you relax a little farther in your chair, it’s not doing its job. Old Europe Cheese gets the job done and then some. 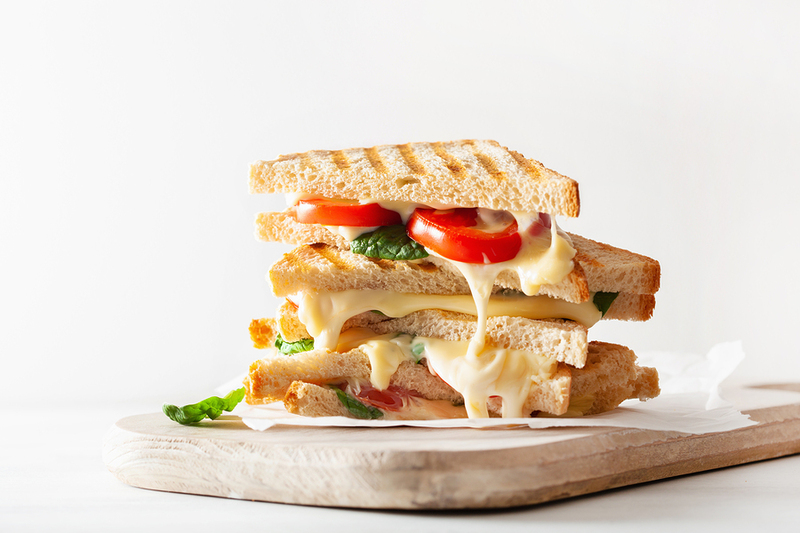 How do you use Reny Picot cheeses in your sandwiches? Visit our Facebook page and share your favorites—we’d love to hear from you!